Low-stakes television with lots of Hart. 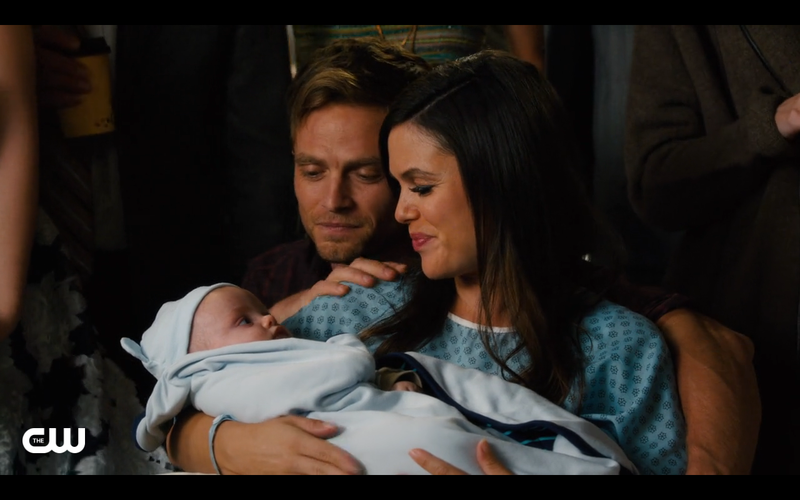 Hart of Dixie is not a show about how up-and-coming young surgeon Zoe Hart came to Bluebell and fell in love with a boy. It is a story about how Zoe Hart came to Bluebell and fell in love with Bluebell, and with being a family doctor. And the story of how Bluebell fell in love with her. It’s a story about identity, about family (both the ones you’re born into and the ones you make for yourself), about the paths we choose to take (and those that are chosen for us). And yes, there’s a love triangle there–or maybe more of a love pentagon, a love star–and sometimes it drives the plot, but it doesn’t define the show. So there’s lots to love about Hart of Dixie, and that’s not even mentioning its cast. Cress Williams, Scott Porter, Wilson Bethel and Tim Matheson are all great as the various men in Zoe’s life (friends and love interests and her professional rival), and Jamie King, though her southern accent can spin out underneath her like tires on a slick road, has imbued Lemon, Zoe’s romantic rival, with some depth, cracking the shell of her picture perfect exterior to reveal her insecurities and motivations. And then there are the various bit-players, characters that make up the town of Bluebell (aiming for the charming quirk of Gilmore Girls’ Stars Hollow, right down to the same set, and mostly succeeding), who are varied, distinct, and wholly entertaining. The real “Hart” of the show, though–if you’ll permit a pun on a pun–is Zoe herself. Rachel Bilson drew some snark when she was first cast from those who didn’t think anyone would buy her as a no nonsense surgeon lacking in bedside manner. To some extent they were right–Bilson exudes a friendliness that defies Meredith Grey’s “dark and twisty” world view, even when she’s sneering at Bluebell, or bitterly raging against her parents. But as the show has evolved, Zoe has relaxed into a role better suited for Bilson. While she’s still having trouble gaining the trust of Bluebell’s residents, it’s got more to do with her tendency to bungle social functions and a lack of tact than with an unfriendliness. And as far as buying her as a surgeon goes, there’s no question that the character is more than capable. She’s never more confident than when diagnosing a patient or cooler than in the face of an emergency. Hart of Dixie is the fourth show from Josh Schwartz, after The O.C., Gossip Girl, and Chuck, and perhaps the most distinct thing these shows share–other than well-suited soundtracks–is a sense that they know themselves. The O.C. was never afraid of its soapy roots, it could acknowledge when things didn’t work, and it regularly dipped into self-parody, Chuck found its core audience and played straight to it, never more so than with its guest stars, an endless list of stars and cult icons from the eighties and nineties, and Gossip Girl regularly reaches for new levels of insanity–a recent example: a supposed long lost cousin who was unmasked as a con artist by a real long lost cousin who is also, surprise, a half sibling–and new levels of couture. Hart of Dixie, meanwhile, has found itself in its own goofiness. That’s not to say that there’s no depth to Hart of Dixie. While the found-family relationships are loving, there tends to be quite a bit of strife in the traditional families, from Zoe’s discovery that the father she’s always known and admired and aspired to be is not related to her biologically–and the fall-out with both of her parents that accompanies that discovery–to Lemon coming to terms with the fact that the mother that left when she was a teenager has moved on with a new family. George (Porter) struggles for his parents’ approval while–without even knowing it–trapped in a love triangle with Lemon and Lavon (Williams). Wade (Bethel), meanwhile, is trying to figure out what he wants out of his life, and what sort of relationship he wants with his father, the town drunk, and how he feels about Zoe. The series works because it takes its characters emotions seriously, even if it doesn’t always take itself too seriously. They mix-and-match the characters to explore new dynamics–it took awhile to see Wade and Lemon interact, but when they did they proved a fun pairing–and they expand the town of Bluebell almost weekly, bringing new residents into Zoe’s, and the audience’s, circle. Hart of Dixie isn’t going to win any major awards, and I have no clue where it stands in terms of getting picked up for a second season, but it’s certainly an enjoyable way to spend an hour. The stakes aren’t very high in Bluebell, this is low-stress TV, and sometimes, especially on Monday evenings, coming down from Mad Men and The Good Wife and the rest of Sunday night’s high-stakes television, that’s just what you need.